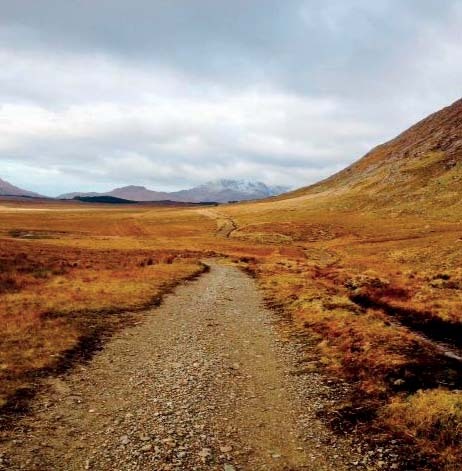 The Western Way is a long-distance walking trail taking in spectacular scenery in the counties of Galway and Mayo in the west of Ireland. 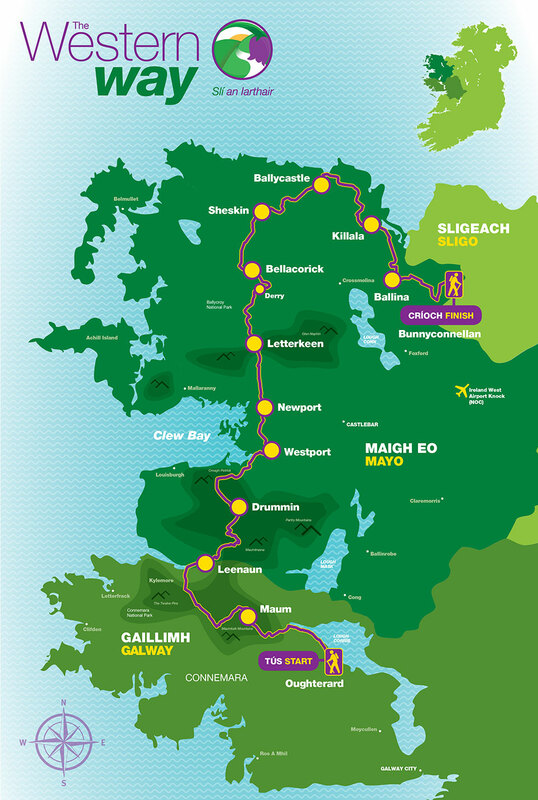 The trail begins in Oughterard in County Galway and continues north toward Maum. From Maum it makes its way through the Inagh valley from where it reaches Killary Harbour near Leenane. The Western Way enters County Mayo at Aasleagh. It then continues in a northerly direction, crossing the eastern slopes of Croagh Patrick, through Westport town to Newport. The trail passes through the Nephin Mountains to Derry, Bellacorick and Sheskin where it traverses the most remote landscape. From Ballycastle in north Mayo it follows the coastline through Killala to Ballina and on to the County Sligo border near Bunnyconnellan, over 200 kilometres from the start. Click on the route sections for information on each section. NOTICE: Some of the property traversed by the Western Way is private property. Access is available by kind permission of all the landowners/holders on the route. It is understood that persons entering do so by permission with the consent of the landowner and no matter how often they enter, or in what numbers, they do not do so as of right. No amount of expenditure by the partners to this agreement or by private individuals on the route being used will alter this position. As further evidence of the permissive nature of the access, the route will be closed on the 28th of February each year in agreement with the landowners. Nothing in this notice shall impact or address any pre-existing public rights of way.